In our Big Agnes Copper Spur UL2 review, we will be taking a look at the features that make this tent an excellent choice for backpacking. 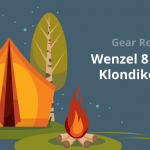 The most important thing for campers and backpackers is to have the right tools and gear. Very few things are as vital in the wilderness as a good shelter. We will cover who this tent was made for. We will then take a look at some of the competition. This will hopefully help you to make an informed decision on which tent is best for your specific needs. The Big Agnes Copper Spur UL2 is packed with features for such a lightweight tent. 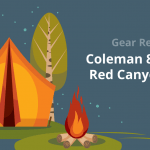 Backpacking tents normally cater to the minimalist needs of someone looking to travel light. This tent offers numerous amenities while still keeping the weight down. This tent features two doors for easy entry and quick exists. The doors are on opposing sides of the tent, which allows for good ventilation. The doors have mesh screens and the roof is made of a mesh material as well. This is great for camping in warmer weather. It also allows for star gazing, as long as the weather permits. There are special loops to accommodate a gear loft. The tent still offers several interior mesh pockets. Two complete vestibules give even more storage room for both campers. This should allow most backpackers to store a good amount of equipment. If you travel light, as most backpackers prefer to do, it should be plenty of space for your gear. The poles feature a double-hub design and DAC Twist Clips. This greatly aids in making the setup fast and easy. A crossover pole is included, which adds to the overall headroom. The poles are also anodized to prevent wear or rust from forming. Unlike some of their competitors, they do not use any harmful acids in the anodizing process. This is good for the camper and the environment. All of the seams in the tent are sealed. No stitching is used at all. This provides excellent protection from wind and rain. It helps to make the tent more water resistant. Every seal is then covered with polyurethane tape for even more protection against water leaks. The tent should stand up well to the heaviest rain and moderate winds. One nice feature on the Big Agnes Copper Spur UL2 pertains to the guylines. These lines and the mesh material on each tent corner are covered with a reflective material. This provides great visibility in the dark. You won’t have to worry about tripping over a line if you should need to exit the tent at night. While this tent is more feature packed than most backpacking shelters, it does provide options for the minimalist. You can leave the body behind and use the poles, rainfly and footprint to make a more basic shelter. Just keep in mind that the footprint is sold separately and will add to the overall cost. The build quality of the Big Agnes Copper Spur UL2 is excellent. The canopy is made of a sturdy nylon/polyester mesh blend. The floor and rainfly are constructed with a coated ripstop nylon. All of the materials are high quality. The material is rugged but thin and one must conclude that some durability was sacrificed for a lighter weight. This is really to be expected in a backpacking tent. I would suggest picking up the extra footprint that is available. This will help to protect the tent floor from any rough terrain and will add to the longevity of your tent. The sealed seams and bathtub style floor should keep out any moisture. The tent can withstand some pretty heavy rain and windy conditions. The poles are solidly constructed and rust resistant. Most of the fabric is silicone treated and then coated with a waterproof polyurethane layer. The size and weight of the Big Agnes are good for a backpacking tent. At around 2 – 3lbs, this tent will feel nonexistent in your backpack. It should be easy enough to carry even on your longer hikes. In spite of the small packed size and light weight, it still provides a lot of living space. This is plenty enough room for two average-sized adults to sleep comfortably. Setting up your tent is fast and easy. The model is free standing and does not require any complex staking to set it up. Everything is color coded to make construction easy and intuitive. An experienced camper should be able to set it up within 2-3 minutes. It only takes a little bit more time to dismantle the tent and neatly pack it away. The stakes are solid and sturdy and plenty enough are included to cover all critical points. A number of features provided and the quality of this tent are much better than what most two-person, backpacking tents offer. The comfort level of the tent and interior space are fantastic for a tent of this weight. Big Agnes did a great job of including features, durability and interior space while still keeping the weight to a minimum. The sheer number of features really sets this model apart from the competition. 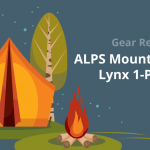 Light backpacking tents are not known for their number of high-end features. The Big Agnes is a pleasant exception to that rule. The Big Agnes holds up great under heavy rain. The water resistant materials and sealed seams do their jobs well. The Big Agnes tent is a three season shelter. It is good for camping in the spring, summer and fall. It can hold up as a good shelter in all but the coldest months of winter. The material traps and keeps in heat well to keep you warm. The rainfly can be removed and the tent can be used with just the mesh top. This is perfect for hot weather while still providing protection from insects. 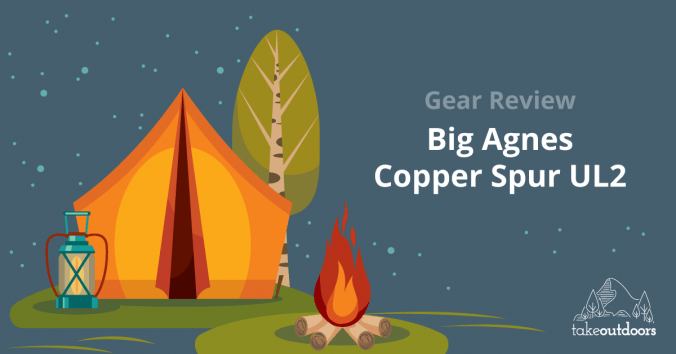 The Big Agnes Copper Spur UL2 is a bit on the pricey side. There are much cheaper options for tents of this size and weight. There will be a noticeable drop in quality and features in most of the cheaper models. It all depends on what your specific needs and preferences are. For the quality and features offered, this tent is worth the price and represents good value. This is a great tent, but it is not without its faults. The zipper action is not as smooth as it should be. It may seem like a minor gripe, but it’s no fun struggling with the tent door when you’re caught out in the rain. The less than smooth action also causes the zippers to get stuck altogether. A little bit of zipper lubrication can go a long way in alleviating this problem. The next negative is the lack of a footprint. It is available, but sold separately. The footprint makes a difference, though. The material is sturdy, but is very thin to keep the weight down. A footprint would greatly help to protect the floor of the tent. At the price point the tent sells for, I feel one should have been included. 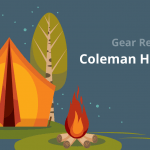 This tent by Coleman sleeps two. The size is comparable to the Big Agnes, but actually features more headroom. The tent is constructed of a polyester taffeta material. This is a strong material, but not likely to be as durable as the Big Agnes model. It is a bit lighter though, and the overall cost is much less. This is a decent purchase if you are on a budget. 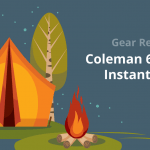 This tent is in a similar price range as the Coleman. This makes it an excellent budget buy, as well. The tent has a lot of space for a two-person model. It boasts a whopping 38 square feet of interior space. This makes it roomier than the Big Agnes and at a lower price. It is nearly twice as heavy, however, and made with much less durable materials. The tent features two doors with an awning over each. This tent is heavier than the Big Agnes, almost twice as heavy. It features two doors and has a floor space a little smaller than the ALPS Mountaineering Meramac 2 Tent. The tent has a solid construction and great protection against the elements. It has sealed seams and a bathtub style floor for good water resistance. The Mountainsmith is much cheaper than the Big Agnes, but does not have the same level of quality and number of features. This is a very well-constructed tent. It has a ton of features and a good amount of interior space. The tent is easy to setup and is light enough to carry on long trips. The quality and durability make this tent well worth the price. After completing our Big Agnes Copper Spur UL2 Review, I can easily recommend this tent for purchase, though it may not be the best option for everyone. If you do not need a lot of features and prefer a minimal approach to camping, you might wish to look elsewhere. There are cheaper options that will even weigh less and take up less space in your pack. If you only want to use it occasionally or just for car camping, then it may be better to go with a cheaper model. If you plan to use the tent often and appreciate the higher quality and features, then this is an excellent choice.